This book offers a comprehensive understanding of the current scientific knowledge concerning risks associated with food preparation, processing and consumption, with particular attention to the gap between scientific research and public perception. Examining the effects of food on the body from both micro and macro levels, it covers a range of broad themes and current concerns, including obesity and the ‘obesity epidemic’, the benefits or otherwise of dietary supplements, caffeine consumption, GM food, alcohol, organic food, the consumption of fruit and vegetables, and pathogens and contaminants.Thematically arranged according to the application of broad theoretical approaches in sociological theory – the socio-cultural perspective, the risk society perspective and the governmentality perspective – each chapter focuses on a particular area of interest or concern in relation to food, covering the existing literature in detail and offering illustrative empirical examples, whilst identifying gaps in knowledge and areas for further research. 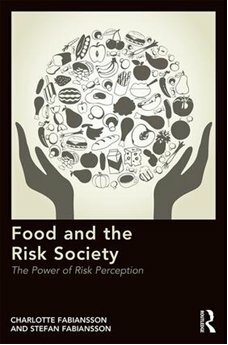 An accessible and rigorous examination of food and health, and the discrepancy between scientific opinion and consumer perception of safe food – the real risks versus the perceived risks – this book will appeal to scholars and students of sociology, geography, food, nutrition and environmental ecosystems, as well as health professionals.